Phophtaw News Association works to broaden the political discussion surrounding issues in Burma, by delivering radio and internet news reports to ethnic minorities (as well as others) on the Thailand-Burma border and throughout the world. It is staffed with an experienced team of writers and is often seeking a volunteer news editor/ writer to help produce articles for the association’s English language site. Children of the Forest Foundation is a Thai Foundation working to provide protection, education, healthcare, and opportunities to migrant Karen and Mon children and mothers living in the Thai-Burmese border region of Sangkhlaburi. Project Umbrella is a not-for-profit organization that provides direct aid to the refugees of Burma who have suffered the consequences of armed conflict. AFECT is a non-government organization for Thailand’s hill tribes (including Burmese Akha refugees) which runs educational, health and cultural programs for redeveloping Thai Hill Tribes in 268 villages within the four northern Thai provinces. DARE Network provides culturally appropriate non-medical treatment and prevention education to reduce substance abuse and associated social problems within the communities of the displaced ethnic people from Burma, along the Thai/Burma border. Baan Unrak Children’s Home provides a safe, loving and healthy home for needy children from Thailand and Burma, including the neighboring Mon and Karen States . They also offer education, medical, psychological and spiritual care in a warm and loving atmosphere. Burma Volunteer Program, is a volunteer program in Thailand that serves populations from Burma on the Thailand-Burma border. Mae Tao Clinic is a health service provider and training centre, established to contribute and promote accessible quality health care among displaced Burmese and ethnic people along the Thai-Burma border. Kwah Dao seeks to empower disenfranchised communities in northern Thailand with the skills, knowledge and education necessary to protect their fundamental human rights and improve their quality of life. The Curriculum Project has provided curricula, materials and teacher training to further education facilities and adult education projects run by Burmese exile, refugee and migrant communities on the Burma border. Room to Grow is Canadian charity based in Thailand helping to alleviate poverty among unparented refugee children from Burma by providing them with food, shelter and basic daily necessities. Minmahaw Education Foundation aims to educate Burmese youth from disadvantaged backgrounds in the border refugee community. Thoo Mweh Khee provides education to over 600 predominantly Karen students from Burma. Beginning in nursery school and continuing on to post-high school, the school offers a wide variety of educational opportunities and experiences to disadvantaged youth. Ban Nai Soi seeks to provide a high school education, practical vocational skills, and community development skills to high school aged children living in the Mae Hong Son Province area of Thailand. Karenni Social Development Center is a small community-based organisation located on the Thai-Burma border. Their goal is to protect the environment and promote the human rights of the long-suffering Karenni people. Burma Children Medical Fund was established in response to the increasing number of patients on the Thai-Burma border who required surgery that was not available at local clinics or hospitals. Baan Dada‘s main objective is to empower Burmese refugee children through education, both formal and non-formal. They also support the local area by providing jobs for single mothers and families, who help care for the children, and assist with farming, construction and weaving projects. One Sky Foundation works to meet the needs of vulnerable children in the border district of Sangkhlaburi. They focus on child protection, education support, alternative care and income generation. They approach children’s needs holistically, aiming to provide interlinked services as a comprehensive response. Acorn Overseas is a small UK charity which supports underprivileged children abroad. The aim is to provide them with food, shelter and education and to make sure that every penny raised goes directly to them. The main focus of the charity over the past few years has been a small children’s shelter in the north west of Thailand on the Burmese border. About 45 children live there who escaped the regime in Burma and are now looked after by a wonderful Christian couple. 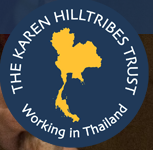 Karen Hilltribes Trust is committed to working alongside the Karen people, in the poorest province of Northern Thailand. Taking a community led approach, they are helping the Karen people build a better future for themselves. The vision of the Karen is for a more sustainable future in which they maintain their unique identity and culture. FED provides a safe and equitable environment for underprivileged workers, whilst promoting education and development opportunities for children and adults.They bridge the gap between local citizens and Burmese migrant communities where migrant populations have long lacked access to the social services, human rights, and economic opportunities afforded their Thai neighbors. Rather than wait for such benefits to trickle down from above, FED teaches Burmese migrant communities to become more self-reliant.